if i were to describe my spirituality, i would call it zen vegan anarchism. and to be clear from the very beginning, zen vegan anarchism is not a belief system, a political party, a foodie lifestyle, a moral dogma, a code of ethics, a theology doctrine, nor any kind of ideology. 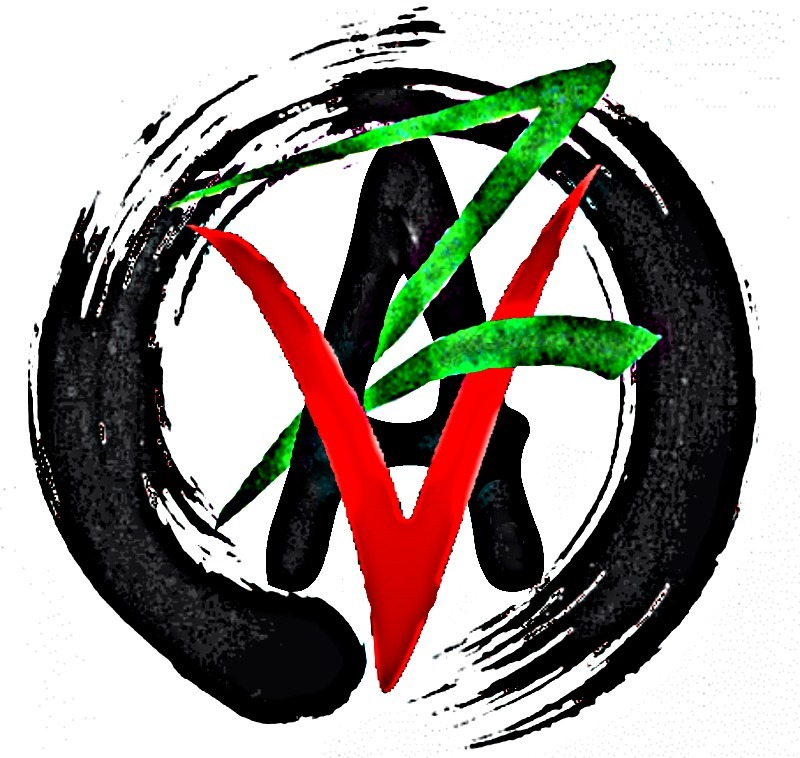 as such, i write words about zen vegan anarchism with no intention to convince you of anything, to sell you something, to offer a cure for a pain, or to appear as though i have some sense of clarity that you could not acquire, or do not already hold within you. rather, to describe it as simply as possible, zen vegan anarchism is spiritual-political practice of accepting the chaos of the cosmos (the often overwhelming realities of indifference, suffering, oppression that we have all been born into) while continuing to remain aware of the raw, imperfect beauty in each moment (the acts of self-expression and self-realization that bring new meaning, purpose and hope for the benefit of all beings that we share this existence with). it is a spiritual-political practice of being committed to the daily struggle for collective mind-body-spirit liberation, but still remaining present and awake to witness our universal existence beyond the definitions and expectations that we attach to it. “zen” originates from the traditions mahāyāna buddhism (specifically, as a japanese variant of the chinese “chán”), which is itself a school of philosophies & rituals for practising the non-theistic religion of buddhism. but for the sake of not appropriating any cultural elements of how the japanese practice zen or the chinese practice chán, i will continue to only relate to “zen” as a practice concerned with meditation (dhyāna) intended to cultivate concentration, awareness and balance in our selves. nevertheless, i will try to actively acknowledge that most of the insights and wisdoms – that i learn from still and plan to share here – exist through the labours and knowledge of living or remembered teachers, yogis, monks and nuns throughout the continent known as asia. my intention in sharing my spirituality of zen vegan anarchism is not to claim any idea or truth as my own, but only to share freely insights and wisdoms in hopes of helping ease the suffering of any curious to read these words. why zen? why vegan? why anarchism? my politics – in how i relate to my communities and any oppressive power dynamics existing within. as an anarchist, this looks like moving away from hierarchical relationships of supremacy and moving towards relations of collectivity. my philosophy – in how i relate to myself and any harmful assumptions or habits that i carry within me, towards both myself and towards others. as a vegan, this concerns the ways that i relate to and associate with non-humyn animals as well as the wider natural ecology as a whole. my self-practice – in how i balance my politics with my philosophy, so that neither are neglected or favoured over the other. as i practice to become zen, this means being more mindful and balanced in the ways that i carry myself through “victories” and “failures”, through comfort and discomfort, through stability and change. though all 3 words represent a different element to how i identify and find purpose, i still recognize that all 3 blur together into a single self-expression. and nurturing all 3 into a healthy relationship within my own self is an active and ongoing effort, complete with sustained moments of confusion, doubt and suffering. but this effort does slowly afford me insights about my own existence, as i relate to dilemmas of violence & oppression & suffering, and as i relate to matters of identity & purpose & fulfilment. ultimately, i continue my effort with the intention of opening my mind & heart to more liberated ways of existing – here and now. and i think that is all we can ever ask of ourselves. it is both the most difficult and most loving opportunity we can ask for. Next Next post: 25 days left to submit!